The Secret Jardin Nano Grow is an all-in-one controller that gives you light and ventilation controls in a compact and robust design. It’s unique design and functionality gives you flexibility, meaning you can sit back whilst the Nano Grow does all the work! With this controller you can define your lighting start time and duration, as well as control the ventilation with night/day temperatures. 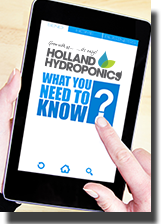 With the night time temperature setting, you can pre-set temperatures to maintain the grow room environment throughout the night as well as any negative pressure. The temperature safety feature brings additionally security by automatically turning the lights off and increasing fan speed when the grow room hits that pre-set maximum temperature. When it cools back down to the chosen temperature, lights will be turned back on to avoid any crop damage and maintain the desired environment.